Starburst two way earrings in rose gold. Gorgeous starburst two-way stud earrings. Tiny stars bunched up together and glowing like a starburst. 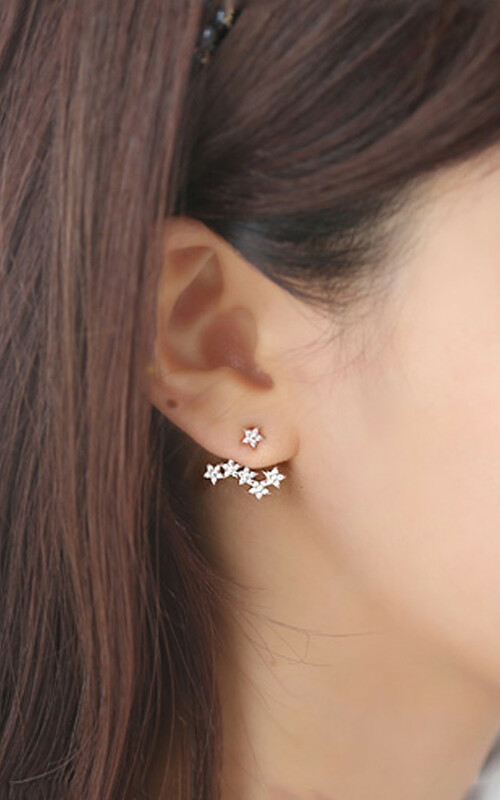 You can wear these with just the one tiny star as dainty stud earrings or wear with the bunched stars so it looks like they're hanging from your ears. All the crystals are cubic zirconia stones which create a lot of sparkle. With 925 hallmarked sterling silver posts. The third picture is for illustration purposes only (model is wearing the white gold option). 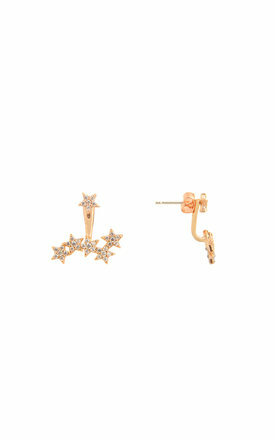 Brass,rose gold plated,cubic zirconia stones,sterling silver posts.